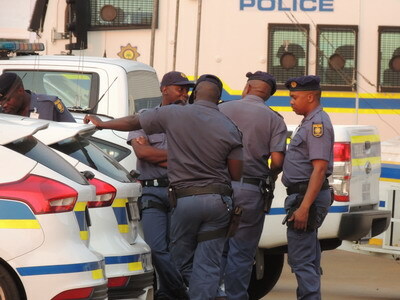 The South African Police Service (SAPS) is promoting 600 people into management positions – not necessarily because they have the skills or experience, but primarily because of their political affiliation. According to the plan, most will jump a number of ranks and be propelled into top positions without the many years of experience needed to become an effective commander. The possible implications of the project are extremely worrying. It comes at a time when the SAPS should be focusing on building a professional service. The project is in direct conflict with recommendations of government’s National Development Plan (NDP) 2030, which visualises the police as ‘well-resourced and professional, staffed by highly skilled officers’. The Non-Statutory Forces (NSF) Project was first mentioned publicly in a parliamentary speech in 2014 by then deputy police minister Maggie Sotyu. ‘Non-statutory forces’ is the term used for the armed forces of the former liberation organisations such as uMkhonto we Sizwe and the Azanian People’s Liberation Army. At the time, Sotyu claimed that ‘for more than 18 years, we erred in remedying the injustices and discrimination exercised against our members of former non-statutory forces integrated within the SAPS’. This, she said, contrasted with the ‘correct’ integration of NSF members in other security departments such as the military and the state security agency. In 2015 former police minister Nathi Nhleko approved Administrative Instruction 7/2015 that officially established the SAPS Non-Statutory Forces (NSF) Re-ranking Committee. Its aim was to ‘provide a detail[ed] process to be followed whereby former NSF members’ ranks will be reviewed and members re-ranked and placed in the existing SAPS force design and organisational structure’. The unions are up in arms over the project. Trade union Solidarity is heading to court in an attempt to have the project set aside. Solidarity’s court papers say the upward re-ranking and promotion of NSF members without allowing non-NSF members the same opportunity is unlawful, unconstitutional, irrational, unreasonable and therefore invalid. In its founding affidavit, Solidarity shows how it was forced to twice approach the high court for orders allowing it access to information about the project. When the SAPS refused to place the re-ranking on hold until the court’s decision on the review, Solidarity had to interdict the SAPS from proceeding with the process. In partial compliance with the court orders for access to information, the SAPS told Solidarity in a letter that ‘the NSF process was initiated to elevate the majority of [the 662] NSF members to commanding positions’. Attached to this letter was a list of recommendations by the NSF Re-ranking Committee with the number of NSF members in their current ranks and their recommended new ranks. Solidarity argues that the main reason for the NSF project is to ensure better benefits for NSF members, such as higher pensions. The union further claims to have evidence that some NSF members already promoted to senior ranks are functionally illiterate. Some police officers were quoted in a January 2017 Sunday Times report saying these promotions were ‘payback for pals’ and that ‘most of them did not have qualifications or experience’. The South African Policing Union (SAPU) also opposed the project. General Secretary Oscar Skommere said when SAPU objected to the project, it was labelled ‘anti-transformation and stuck in the old order’. The SAPS can’t afford to embark on a process of en masse fast-track promotions motivated by any consideration other than merit. There should always be room in exceptional individual cases for promotions of people with suitable qualifications and skills. But personal benefits and political affiliation should never be a consideration for promotion in the police. Written by Johan Burger, Consultant, Justice and Violence Prevention, ISS Pretoria. Republished with permission from ISS Africa. The original article can be found here.